Instagram has become a wire news service for surfing. 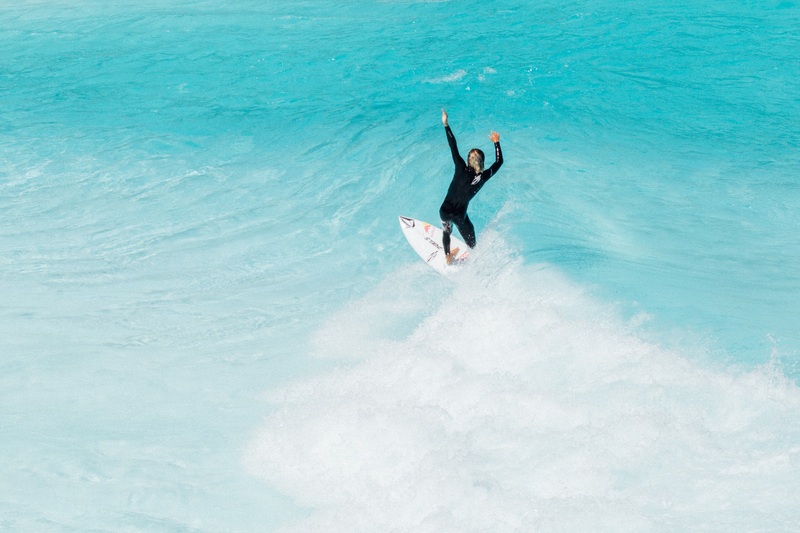 Hot on the heels of Kalani Robb posting buddy Cheyne Magnusson counting off steps in an empty pool, the surf world salivated at the prospect of a secret new pool. Secret because it wasn’t announced through the usual main channels, that is the wave developers. Each time Wavegarden inks a deal for a new Cove project, the world hears about it through their press arm. When Surf Lakes, American Wave Machines and Webber solidify a new project, we get YouTube clips and press releases. Not this time. The pool builders are hungry to grow interest in their product. Interest stokes investors and leads to more projects breaking ground. Which is why news of the Palm Springs pool was a bit of an anomaly. A further plot twist includes the debut of a potentially new wave-making technology. While we chase down the full story, we’ll share what we do know at this time. 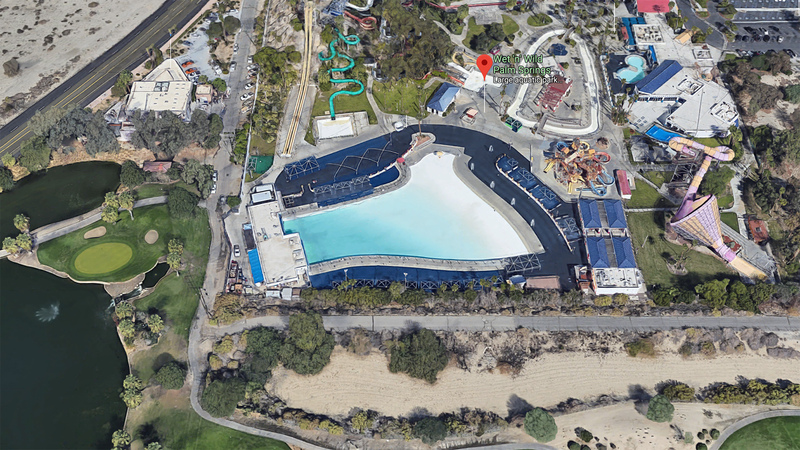 In an interview Stab Magazine Cheyne said the new project will be in Palm Springs at the Wet’n’Wild Waterpark. The facility’s Riptide Reef attraction is the same pool used in the movie “The North Shore”. What those renovations are and how they will come about are a bit murky. But we do know that Kalani Robb offered up in the STAB interview that they have a big conglomerate of core surfers backing the project. So much support in fact that they purchased the pool and the entire water park. Cheyne goes on to tell us that the new wave-generating technology is top secret for now. All he would confess is that it’s “different” and quite a complicated feat of engineering. He should know. Magnusson spent hours in the Texas heat tweaking and refining the American Wave Machines technology at the BSR Surf Ranch. He synced the timing of the machine to produce an air section and created the various skill level settings. The Palm Springs pool is similar in size to the BSR Surf Ranch if a bit smaller. Cheyne says this is not as big of a hurdle as one might think. He poses that bottom contour plays a huge role in producing quality artificially generated waves. Wavegarden has been leaking out night surfing clips of their facilities. BSR, Typhoon Lagoon and Sunway Lagoon have all hosted after-dark parties. We’re stoked to see what Robb and Magnusson have in store. “We want to make a Disneyland for surfing,” Robb said in the interview. •   The Lowdown: Top secret and under wraps wave pool by Cheyne Magnusson and Kalani Robb. •   Accessibility: Not yet built or even open to the public. •   Type of wave(s): Knowing Cheyne's penchant for ramps and wedges, expect something similar to Waco.